Do you or someone you know spend too much time playing video or computer games or browsing the internet and social media? Millions of people around the world enjoy gaming in moderation. Similarly, the internet offers opportunities for work, entertainment, and networking. Therefore, it can be difficult to identify when behavior has become addictive in nature, especially when affected individuals remain in denial. 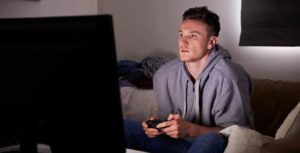 Gaming addiction or gaming disorder in its simplest sense is the compulsive and ongoing use of video games despite negative physical, psychological, or social consequences. Some individuals slowly get sucked into a habit of gaming late into the night. They may feel irritable and out of sorts when taken away from their console or computer. Often this leads to the neglect of work, outside pursuits, and interpersonal relationships. It’s important to note: not every person with a gaming disorder will present in exactly the same way. But when excessive gaming starts to interfere with your life in a seriously detrimental way then it’s crucial to seek help. Gaming disorder is classified as a behavioral addiction and is therefore markedly different from substance use disorders. This has, in part, generated resistance to efforts to recognize gaming addiction as a legitimate diagnosis. Nevertheless, the World Health Organization (WHO) decided in 2018 that sufficient evidence existed to formally recognize gaming disorder in its diagnostic manual — the International Classification of Diseases. It is hoped that the decision will make it easier for affected individuals to seek help, overcome stigma, and find evidence-based treatment to help break their destructive habits. Addiction is a multifaceted and complex disorder that, at its core, involves seeking out rewarding experiences despite the resulting negative consequences of those actions. Gamers may find that what starts as a harmless hobby snowballs into a more consuming pattern of behavior. Tolerance may set in as the “rush” of competing and winning fades over time. This can lead individuals to seek out longer and more intense gaming sessions. Mounting evidence also shows that there is likely to be a neurological element to the addictive effects of video games. Teens that frequently engage in gaming show signs of brain changes associated with increased dopamine release. This finding, generated from a study using MRI brain scans, has been compared to similar changes seen in gambling addicts. Scientists have speculated that this brain activity may underpin the reinforcing effect of video games, driving individuals to pick up their controller in search of the pleasurable experience of immersing themselves in an alternate world. You feel really happy when you’re online or when you’re playing games, but as soon as you have to stop, you get angry or upset. You think about going online or playing when you are supposed to be focusing on other things, like doing work or having dinner with your family. You spend more time with your keyboard or controller than physically hanging out with friends. Your friends, family, or parents ask what you spend all your time doing, and you lie about it or laugh it off, but inside you know they may have a point. You get up in the middle of the night to check your email or social media because you’re having a hard time sleeping. If you think there might be a problem then it’s important to speak to someone you trust. Remember, you aren’t the first person to go through this. Across the world millions more are suffering too. It’s a tough habit to kick. It’s not like you can just stop using the computer altogether. You need it for work, school, or to stay in touch with your friends. If you’re a gamer, most of your friends may also be gamers, meaning that you would not have anyone to hang out with if you stopped playing completely. The best thing to do is to open up to somebody. Maybe it’s a parent or spouse, a big brother or sister, or a good friend who is concerned about you. Tell them you’re worried about being obsessed and you need their help. Your family probably already know there’s a problem, but they don’t know what to do about it. So tell them what’s really going on. Chances are, the games aren’t the real issue. You may be using the computer or the controller to avoid doing things you don’t want to do or thinking about things that are bothering you. Sometimes that’s okay – others do it, too. But when it’s keeping you from sleeping, or causing you to be angry with the people who love you, there’s a better way. So go on. Get off the computer or send a message to someone with a link to this page and they’ll know you’re asking for help. And that’s a good sign.